Tell us about the pastimes you like and we will suggest you a large range of surprising activities! In the hall of the gite, you will find the French “Guide Hachette des vins” (Wine Guide), the Geo and Michelin guides, the maps of the area, as well as hiking, cycling and climbing guides and tourism guides about the main sites of the area. 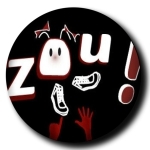 Click on Allez-Zou to discover the cultural agenda around Néffiès, You where to go out to enjoy your evenings! Just a few minutes from the gite, the Resclauze Pass, the “Pic de Vissou”, the cirque of Mourèze and the Lake of Salagou are the starting points of many hiking routes where you will enjoy walking through a typical rolling garrigue with amazing viewpoints over the Haut Languedoc and the Thau Lagoon. After hiking, you will appreciate coming back around Neffiès to enjoy the freshness and tranquility of the Olivettes dam. 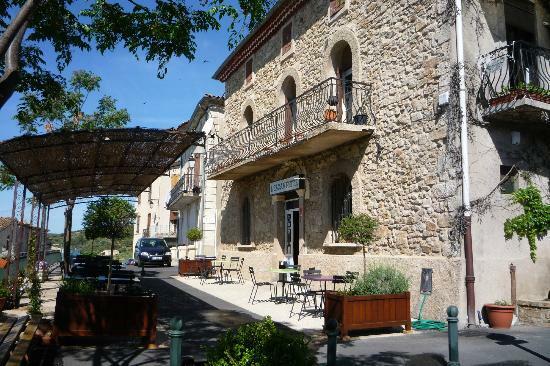 Less than 1 hour from Neffiès, walk, ride across the impressive massifs of Caroux, Olargues, Clape, the Gorges of Heric, Colombières, Saint Guilhem etc. Guides books and maps are available at the gite. Bathings: As previously mentioned, you could enjoy a refreshing bath at the Gorges of Héric, Orb or Hérault as well as on the shores of the Lake of Salagou or Olivettes dam. These are the perfect spots to relax after a good day of sightseeing. In every village, you could have a taste of the French viticulture and terroir that combines Mediterranean and South West cuisine. You will be pleasantly surprised by the great diversity of dishes and wines. Have a charming evening in the restaurants “L’Escampette” or “Le Véry’Table” in Néffiès (that offer concerts shows, visits etc. ), “La Maison” in Tourbes. As these restaurants are very popular with locals and tourists alike booking is highly recommended. Discover and understand the local culture, geology, wines and gastronomy visiting the Caves and vineyards of Neffiès and Rezclauze. The cheese-lovers could buy organic goat’s cheeses directly from the Neffiès and Mas Rolland farms. The village’s grocery and bakery offers you a large choice of french foods. In the shadow of the church, les “Fées confiotes” will introduce you their delicious chutneys, jams, and organic food. Every Thursday morning (9.30 am), you could buy fresh fishes coming from Sète, shellfishes from the Thau lagoon or melons from Fontès at the market, in the center of the village. Pézenas: “La Mirondela dels Arts” offers quality shows (drama, music, exhibitions etc.). More information is available on www.mirondelsart.com. Don’t miss the art exhibition at the Ateliers d’Art, a 300m² gallery with créative craftworks. The “Théâtre de pierre” gives every two years, a summer piano festival on the olivette lake! Nathalie invites you, in July and august to a musical and poetic dinner, at sunset, in the pine forest above Néffies. mid July and August, Enjoy the village festival and its giant Brasucade (grilled mussels) offered by the tourism office. 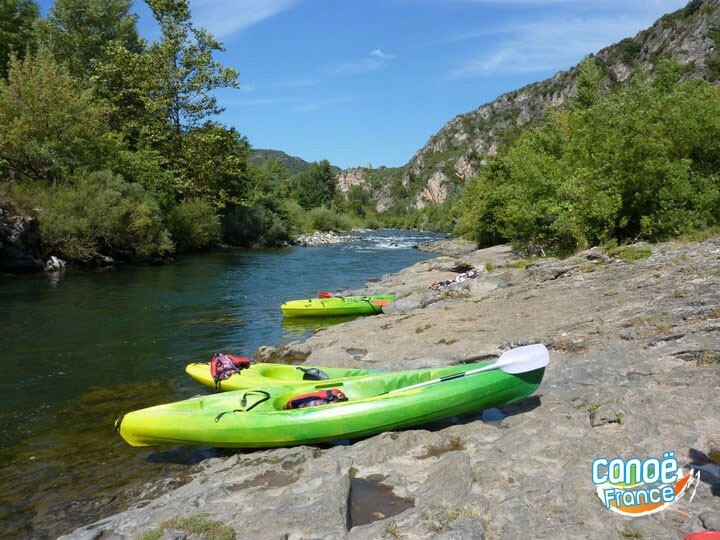 Canoe/Kayak: discover the Gorges of Hérault or Orb and enjoy the shady beaches just for a few hours or all day long. Horse riding: discover the Salagou area, Saint-Gervais-Sur-Mare, Mourèze etc. Climbing: nice climbing routes in the Massifs of the Clape, Caroux, Minervois and Corbières. Wonderful viewpoints over the vineyards and the sea. High quality spots. Kite Surf/Windsurf: many well-known spots, you will find excellent sailing schools in the area. Fishing: Lake of Salagou is the perfect spot thanks to its great diversity of fishes (pikes, perches, zanders etc.). Other spots: the shores of Hérault and Orb rivers, as well as the lagoons and the Mediterranean sea. Discover fly fishing or sea fishing!